Leif Ericson Day School celebrates its 50th anniversary as a provider of quality Christian education for children in nursery through grade 8. A blending of traditional values with a current, progressive course of study offers students a safe, caring learning environment with a NYS approved curriculum. Small class sizes overseen by a caring, skilled and professional staff is a cornerstone of Leif Ericson Day School. Small class sizes promote verbal and social skills, allow for individualized instruction where problems can be identified and remedied, and improve self-esteem. Teachers are more aware of students’ individual personalities as well as their unique learning abilities. Leif Ericson Day School considers the family/school connection to be of great importance in assuring the success of a child’s educational experience. Clear communication between families and school is encouraged as it helps to support students and form solid partnerships. Music and Performance instruction at Leif Ericson Day School is infused with the belief that all children have inherent musical potential and that they are capable of developing critical thinking skills through musical ideas. 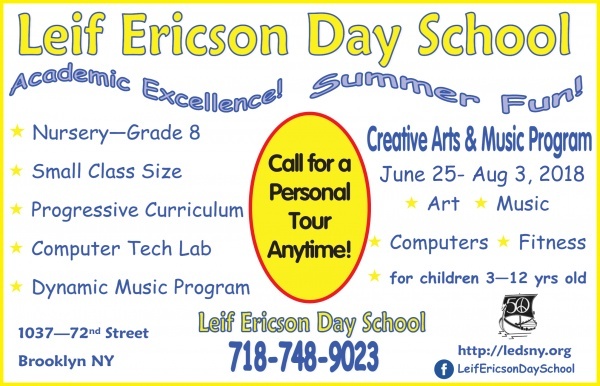 Leif Ericson Day School provides every student entry into the world of music through twice-weekly music classes that incorporate instrument instruction (simple percussion instruments, glockenspiels/xylophones/metallophones, soprano recorder, world music drumming, and guitar), vocal training, movement/dance coaching, drama components, and performance opportunities. Students are also afforded opportunities for performance and/or service via two school choirs, monthly assembly programs, annual “Talent Show”, Christmas programs, Honor Guard, worship leadership, mentoring possibilities and an afterschool Drama Group. Computer Technology and Education is about equipping children with the social and intellectual skills they will need to survive and thrive in the world. The greatest value of technology is that a student’s learning is extended beyond the textbooks, and classroom environment. Lego robotics, Claymation movies, project research and graphic arts are just some of the outstanding features of the computer technology curriculum. Every student attends twice-weekly computer classes that provide them with a sense of self-sufficiency and aptitude for problem-solving. A NY State Education Department Board of Regents Absolute Charter was granted to Leif Ericson Day School in 1978. The school adheres to the NYS Learning Standards, allowing the students to score well on standardized tests and go on to attend the finest high schools. Leif Ericson Day School doesn’t participate in the NYS testing programs, removing the needless stress from the students and permitting teachers to focus on curriculum rather than ‘teaching for the test’. Early Childhood Education focuses on the full development of the child, with developmentally appropriate lessons in music, math, science, social studies, and computers, as well as reading readiness to begin building the bridge toward literacy. Playtime, which fosters imagination and creativity, promotes socialization skills, problem-solving and language skills, and rest time, which promotes alertness, memory and performance, are a part of the school day. An education at Leif Ericson Day School is not expensive when weighed against the outcomes that the students experience. Derek Bok, former president of Harvard University, once said, “If you think education is expensive, try ignorance.” The average tuition cost for a student at Leif Ericson Day School is $4.25 per hour. When you ‘do the math’ it’s less than your morning cup of coffee. Happy, thriving and successful children are priceless. “Building a Culture of Peace” is the foundational theme of Leif Ericson Day School. The Anti-Defamation League has bestowed their Gold Star status on the school as part of their “No Place for Hate” initiative combating bias, bullying and hatred, leading to long-term solutions for creating and maintaining a positive climate. 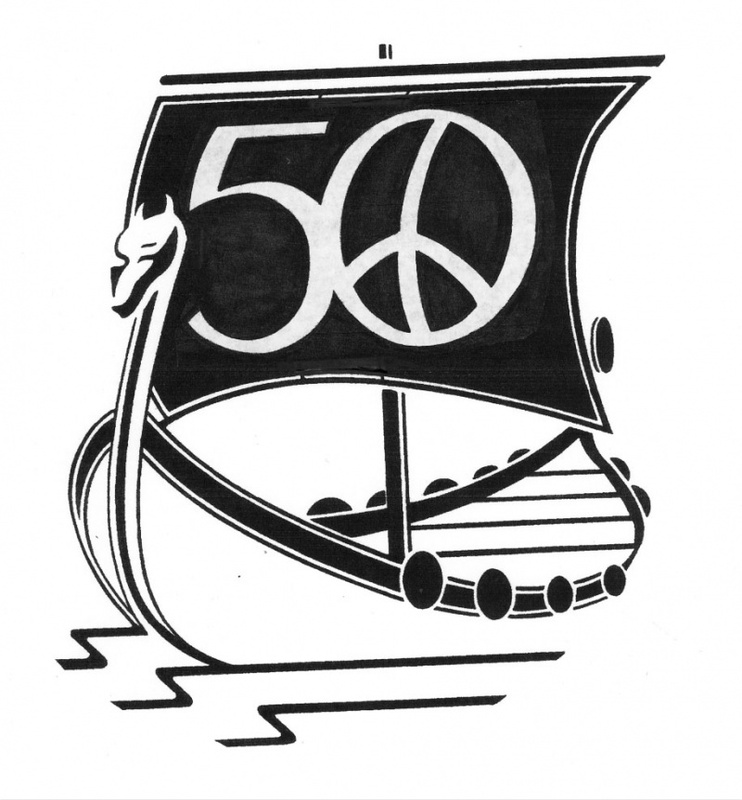 Leif Ericson Day School annually celebrates its commitment to non-violence through participation in the Institute for Peace and Justice’s International Day of Peace. School-wide chapel worship services are held each Wednesday, as the faith community praises and learns about our gracious God and serving God’s people. Leif Ericson Day School maintains its own school bus for transporting children living within a prescribed radius of the school. This safe, door-to-door service is available at an extra charge. Metrocards are also available. Faculty supervised morning care beginning at 7:30 a.m. for no extra charge. Faculty supervised after school program, until 5:30 p.m., provides homework help, and includes games, computers, and playtime, for an additional charge. DOE special education services available. You’re invited to call the school for a personal tour anytime 718-748-9023. Discover why Leif Ericson Day School is the best place for your deserving child to be nurtured and educated.